A Cornishman has taken on a nation famed for its baking ability by opening a successful Cornish Pasty shop in the home of the Danish Pastry. Jason Mather partnered with Indian Queens-based Crantock Bakery to open the Cornish Pasty House in the Latin quarter of Copenhagen earlier this year. 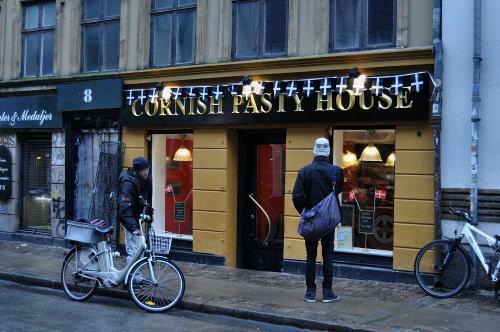 Mather claims his is the first Cornish Pasty shop in Denmark: “I love pasties, and I was sure that the Danes would too. I have been delighted how the people of Copenhagen have taken to them. To be a true Cornish Pasty they must be prepared in Cornwall, not baked there. As I understand they are prepared in Indian Queens to the traditional recipe, and exported to Denmark, thus qualifying as true Cornish Pasties! Tut tut! Surely they can’t be Cornish Pasties if they are baked in Copenhagen!